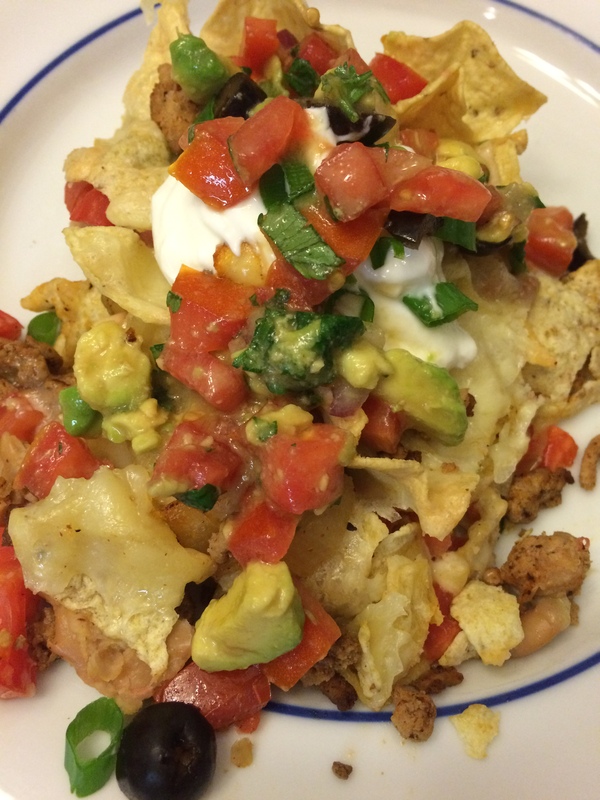 Yesterday’s Taco Tuesday: Deep Dish Nachos, #CookingLightDiet Style! 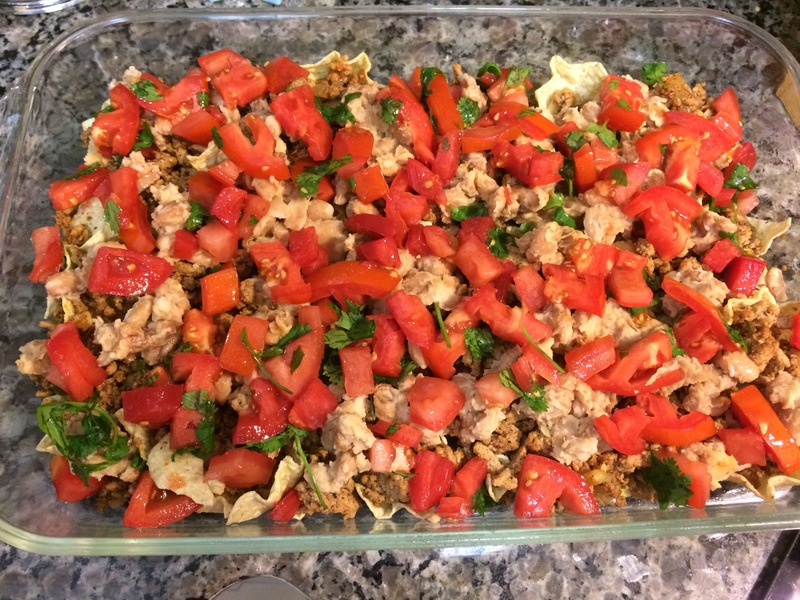 Technically, this dish is called “Mexican Casserole,” but since my kids avoid the word “casserole” like the plague, I marketed it to them as “Deep Dish Nachos.” Even if you’re selling dinner to your children, marketing is everything! And children and nachos go together like chips and melted cheese, do they not? This meal worked out great for me because my next door neighbor and my mother had just brought me some beautiful farm stand and homegrown tomatoes..lucky us! 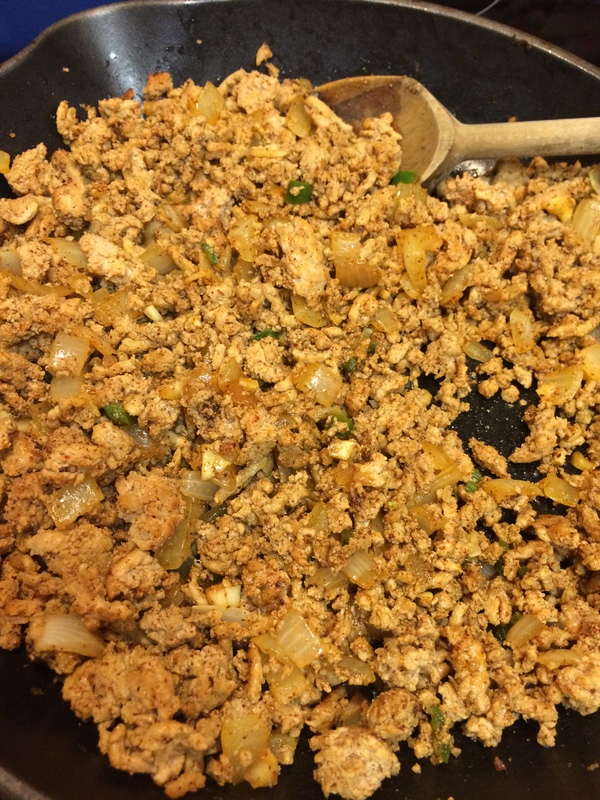 First, brown ground turkey with onion, jalapeño, garlic, chili powder, cumin, salt, and pepper. 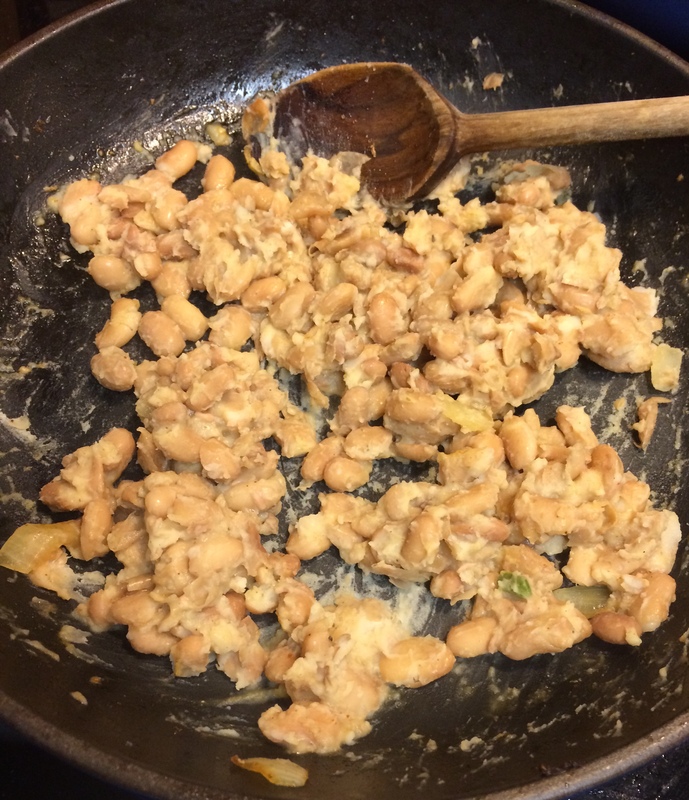 Make a lighter refried bean using canola oil and smash a can of pinto beans with the back of a wooden spoon. 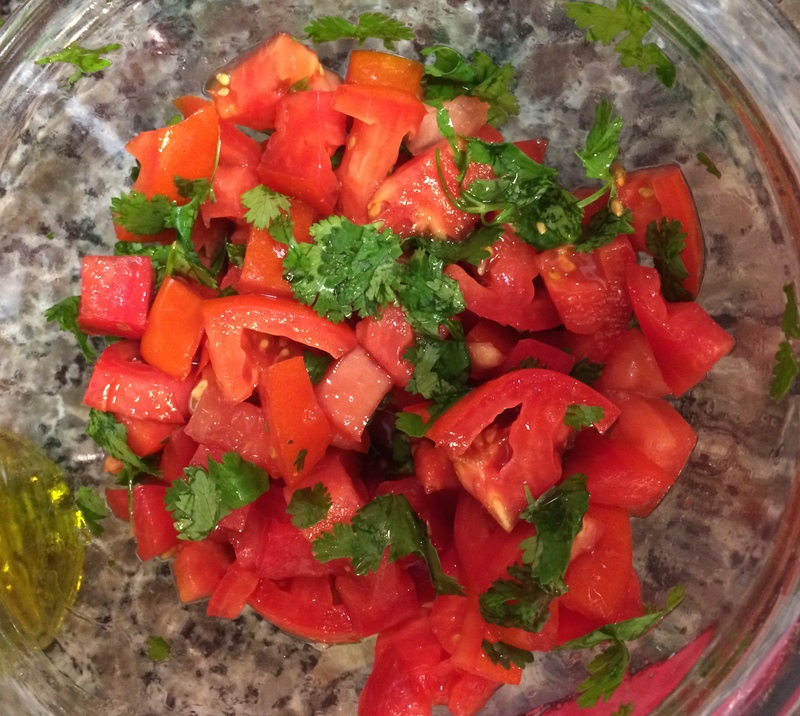 Combine tomatoes and cilantro. Look at those gorgeous tomatoes! The final product. 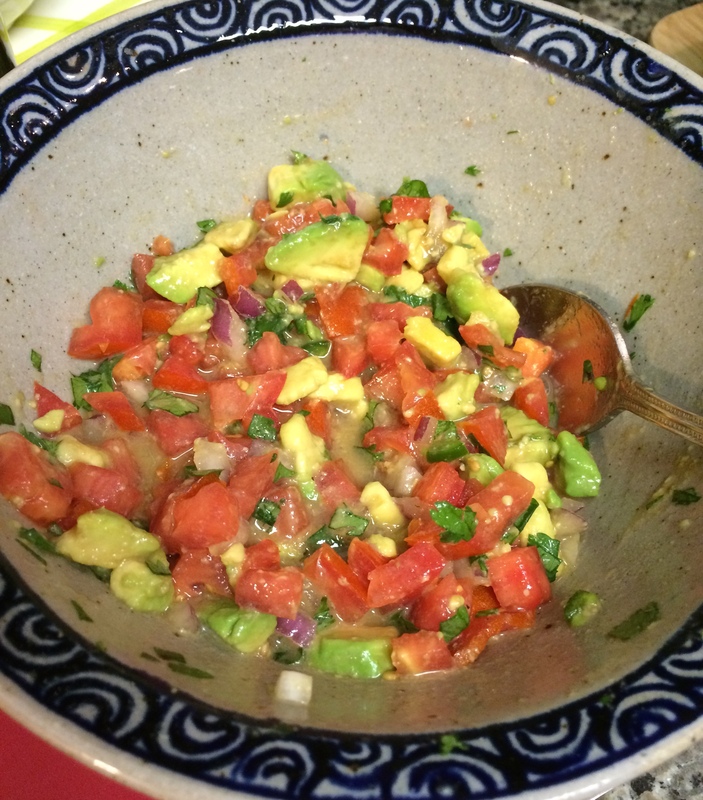 I topped each portion with a dollop of plain Greek yogurt, green onions, sliced olives, and some of the salsa. The kids loved it, and voted it a “Do Over.” Taco Tuesday is a big deal at our house, and “Deep Dish Nachos” definitely lived up to the fam’s expectations. So glad there are leftovers for lunch! Just write your own cookbook–with personal commentary. These pictures are lovely and I bet the meal is delicious. I like that idea! Thanks, Anne! Awesome! So glad y’all liked it. Also- props to Smoky for his service to Habitat. Such good work. Have a great weekend, Anne!